If you’re looking for the perfect stocking fillers this Christmas we have a great selection of jewellery storage, home accessories, pieces for men & women all for £30 and under. 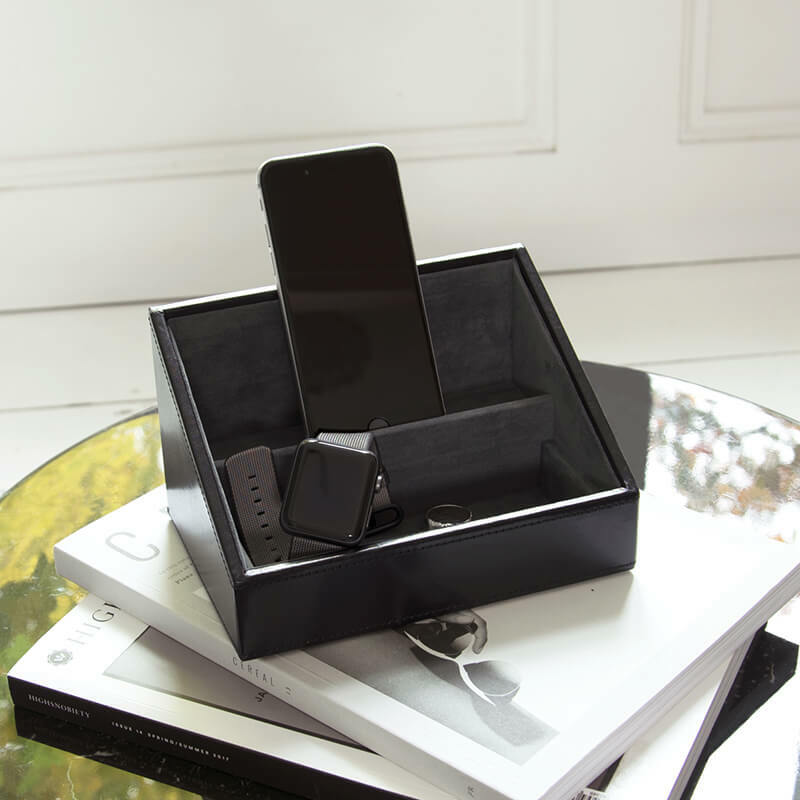 Start their Stackers jewellery box collection by giving them the lidded jewellery box section this Christmas. 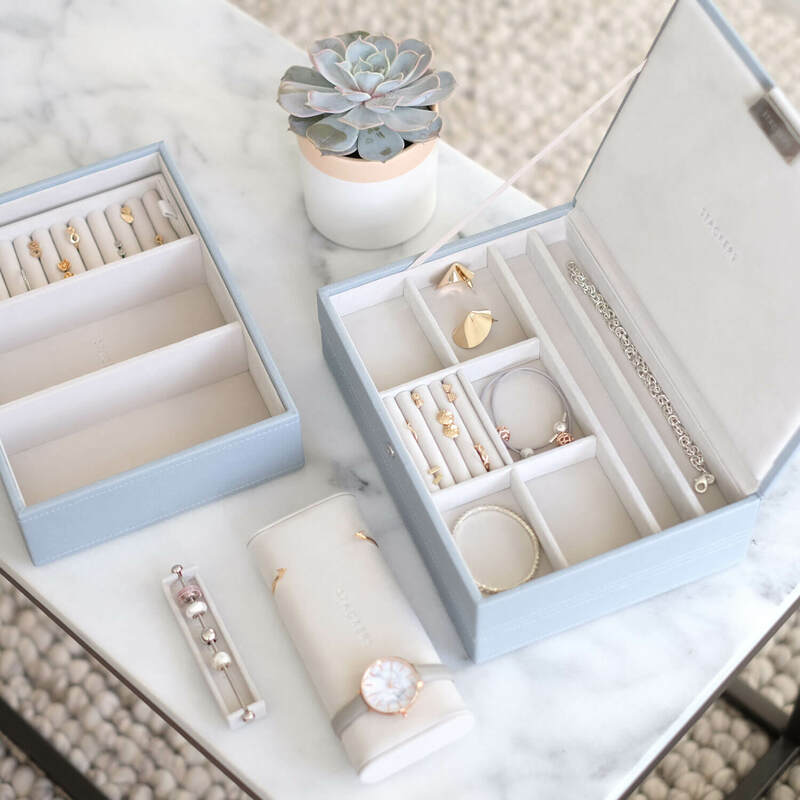 It is great for those who have a smaller jewellery collection, or for every day pieces, with a mixed lay out there is space for rings, earrings, necklaces and bracelets. 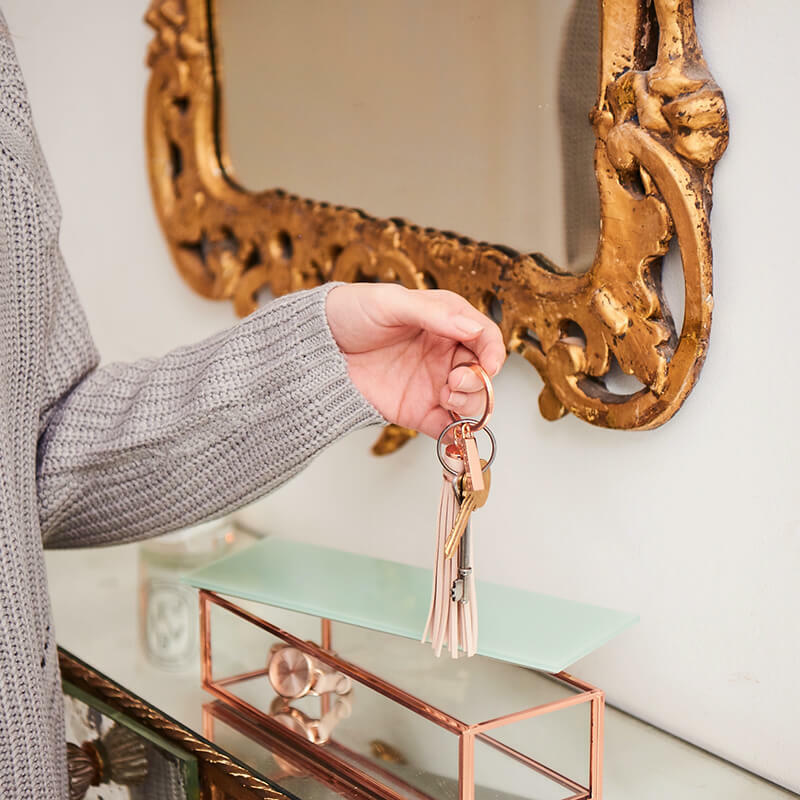 Keyrings are the perfect gift for those who are always loosing their keys, or for those who like to accessories their handbags. 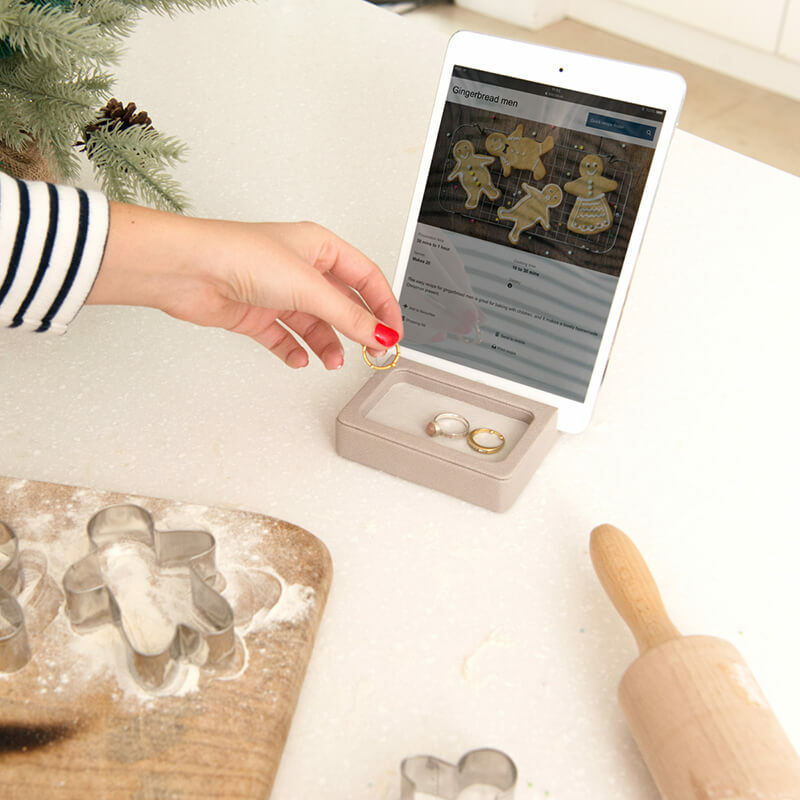 For those who love baking or following recipes this is perfect to hold your recipes, or even to keep it safe bedside on charge. 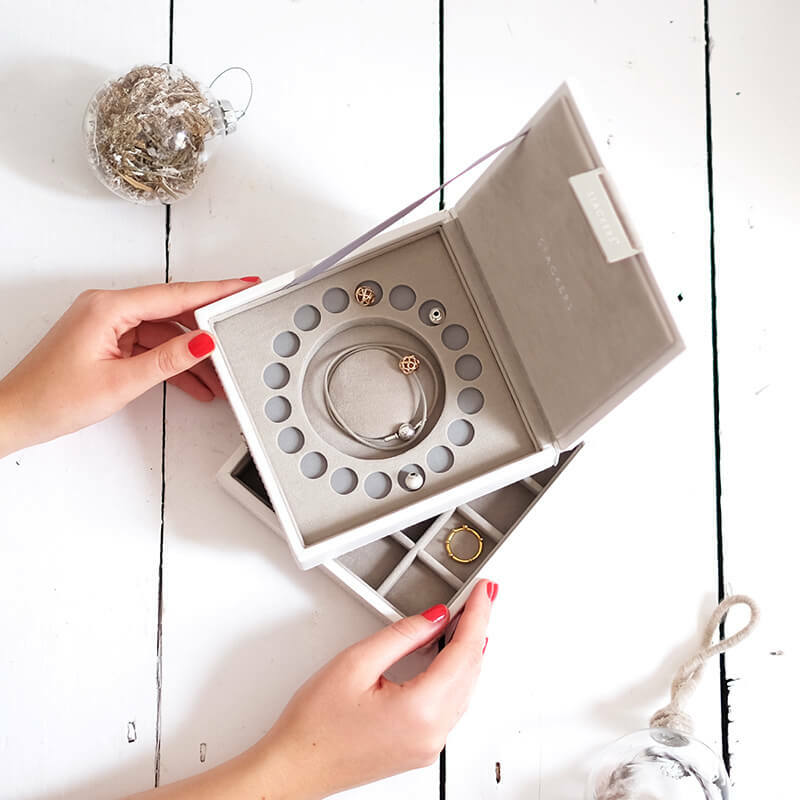 With the charm jewellery box lids starting at £25 we couldn’t not include them, so many of you will have friends or family with a Pandora or Trollbeads bracelet & this is the perfect place for them to keep it. 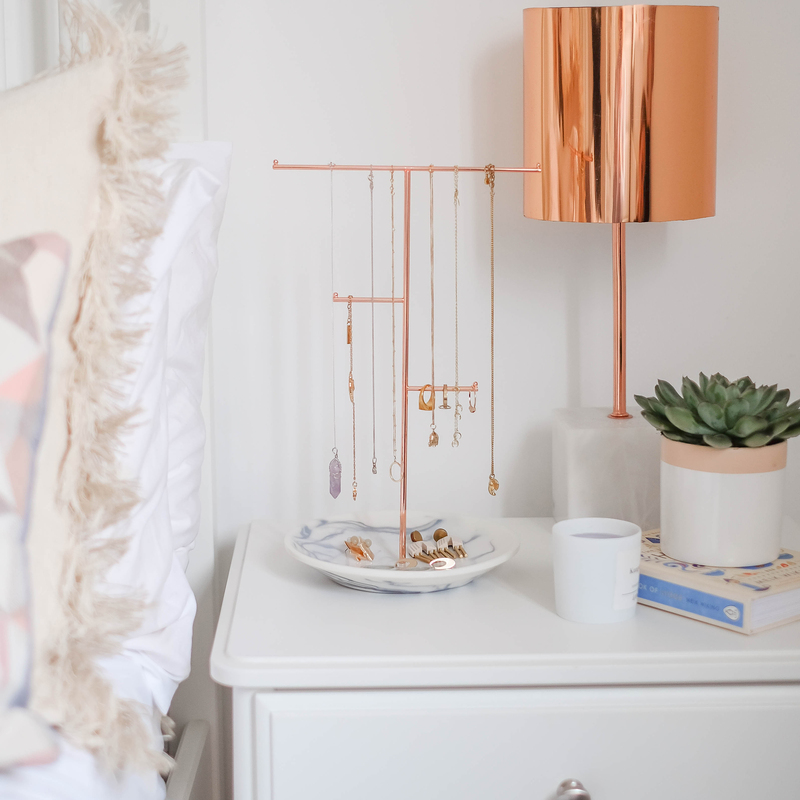 Our small jewellery stands and peaks are the perfect Secret Santa gift; great to have scattered around the home, in the bathroom, next to the sink, bedside and on the dressing table. 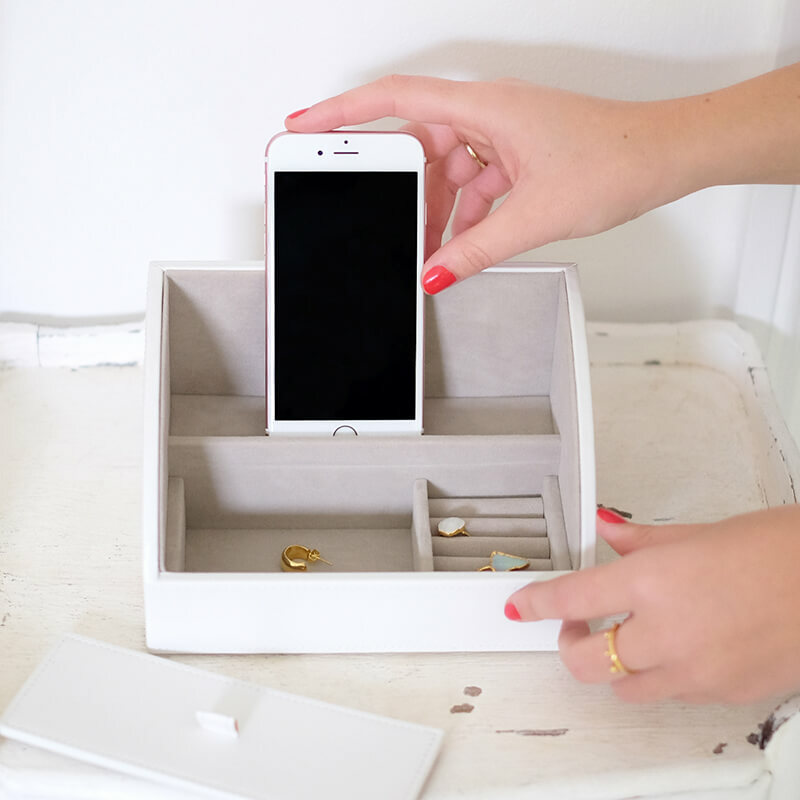 Charging valet, this piece is ideal for charging phones and tables over night, while also popping daytime jewellery in the front section to store when sleeping. These come in a number of different colours, perfect as a gift. These are also available for men, with an open section at the front, perfect for pocket change, over sizes watches and more. That is a round up of some of out stocking filler recommendations, head over to our gift section to find out more.